UL Listed for Damp Locations. TO CLEAN: Use a clean, soft cloth to wipe your shade. If necessary, use a white cloth dampened with a mild solution of soapy water to gently wash the shade. Rinse thoroughly with a white cloth dipped in clean water. 100% SATISFACTION GUARANTEED: 1-Year Manufacturers Limited Warranty. 365 Day Returns or Exchanges to Del Mar Fans & Lighting. Santa Barbara Cast is a transitional style collection from Maxim Lighting International in Sienna finish with Seedy glass. 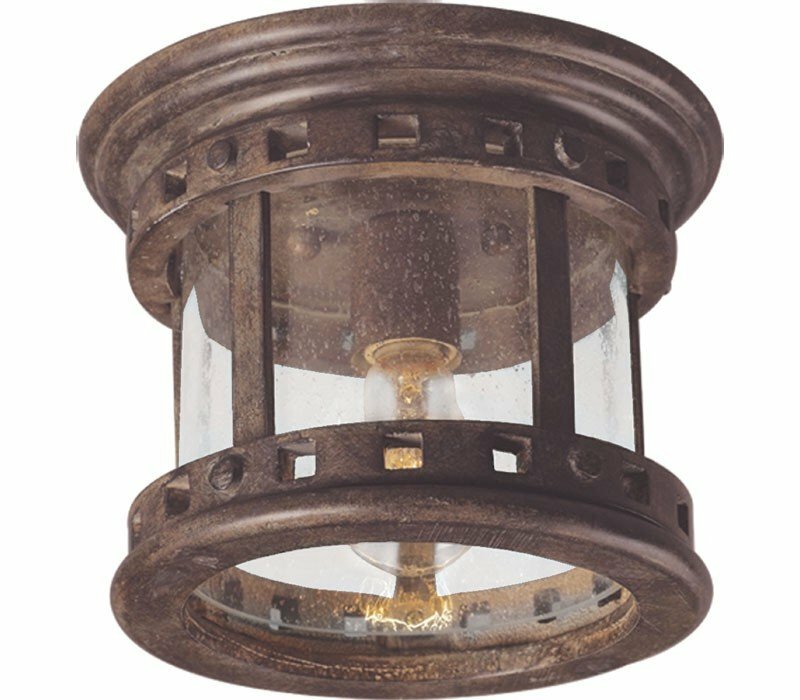 The Maxim 3130CDSE Santa Barbara DC collection Outdoor Flush Mount Lighting in Sienna uses Incandescent light output and brings Rustic style. The total wattage is 100 and the voltage is 120 volts. The Maxim Lighting 3130CDSE requires 1 bulb (not included). Additional Information: Shade-Seedy Glass.